Today is the 4th of July 2016. The final day of my Summer Runner’s World Run Streak. 36 days of running a minimum of one mile per day. It was a challenge that emerged at a time when I needed to address my sudden lack of “me time” and regular running. I would like to tell you about how I did it and some of the, unexpected, benefits of undertaking such a challenge. What is a Runner’s World Run Streak? The Summer Run Streak, is the creation of the American Runner’s World. It begins on their Memorial Day (our second May bank holiday) and ends on Independence Day (4th of July). It is intended to bridge a gap between the end of the American Spring and the beginning of the Autumn running seasons, and a manageable challenge to keep you motivated over the summer. A time when we often get side tracked by holidays, ice cream and cocktails. The rules of the Run Streak are fairly simple. Just run a minimum of one mile per day for 36 days. For me, that was one lap of my park and approximately 15 to 20 minutes me time. Depending on how slow I was going, how little sleep I might have had and how much chaos was unfolding in the Monkey House. You must run. It cannot be substituted for any other activities. So if you attend an exercise class you must additionally run your mile. There are no days off. I feel it is important to let you know that this challenge was made infinitely more easy because of a few factors. Some things really went in my favour. The first was the support of Mr LMR. He has supported this idea, despite an increased need for him to be left with all three monkeys, often at 6am. His support was easily achieved due to the short period of time it took me every day to complete my mile. Even if the monkey’s were being difficult, he knew I would be back within minutes. I had the park on my doorstep and a lap of the perimeter is exactly one mile. Ropner Park offers a wonderful setting for a mile of quiet contemplation and endorphin finding exercise. Lots to see and an ever changing canopy of trees and flowers throughout my route. The weather has also been favourable. The days when rain has threatened to reduce my motivation, it has held off until my run has been out of the way. A huge benefit to running early in the day. Despite a few bouts of sleepless nights, comforting a teething baby, I have been lucky enough to manage enough sleep in between to keep my strength up. Even on the more sleep deprived days however, the small distance has been manageable. It also helped to ease BM into her nap times on days when she had other ideas. This provided me with the opportunity to think straight and have a hot shower in peace. To manage the conflict between the Monkeys and the Monkey house and making the time to run, I had to make a plan. My plan had to be both flexible and inflexible. This is why I would only really plan one day in advance. I would work out what kind of day I would have the next day. What activities we had on and when I might have a window of opportunity. This was especially useful whilst continuing the streak whilst on holiday. 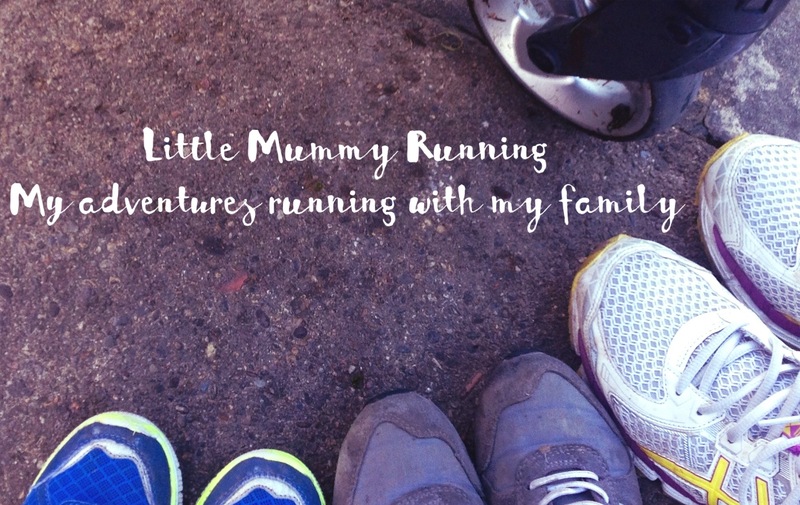 Read about how I got on in my post Little Mummy, Running on Holiday. Once again the short amount of time required made this easier. If the monkeys were stirring, as I went out at 6.15am, I found it easier to put their needs behind mine. I knew I would be back in no time at all. Some days the monkeys made it so much easier to get out of the house too. Having wrecked the house before school on day 24 , I chose to abandon the mess and head to the park. I actually managed a two miler that day, despite not having much sleep either. By the time I got home I felt better equipped to tackle the carnage. One of the most unexpected changes that emerged was that I became a morning runner. As a parent I am almost always tired. It is now woven into the fabric of my very existence. There really never is enough sleep these days. For all of my life I have loved my sleep, so the thought of giving up an extra twenty minutes in bed was just unimaginable. However, I have previously run in the early hours and there was no reason not to try it again. Let’s be honest, before the monkeys are throwing obstacles in your way and, in my case, someone is there to sort things out should they wake up, why wouldn’t you take the opportunity? I began the early mornings around day eighteen. Mr LMR had been on annual leave from work during the first two weeks of the challenge so I had to start making adjustments to guarantee a time to run. I made sure that my kit was all ready the night before and my trainers were unlaced by the front door. Trust me, a moments pause can be the difference between getting out of the door or being drawn into all kinds of monkey business. Often BM had just gone back to sleep and the small amount of time before the alarm went off, or the other two arrived, wasn’t worth the frustration. Soon my morning run became an essential part of my day. Like my shower or the first cup of coffee. It made me feel better about everything. It removed the frustration of trying to make time later and the endorphin boost was worth it. It is also possible it boosted my morning metabolism too. I can confirm that the run streak has helped me lose a few pounds and I am back into some of my pre baby clothes. Whoop whoop. At the end of this challenge I am feeling very torn. What next? I mentioned this to Mr LMR the other day and asked what he thought I should do once it was over. His answer was simple. “Just keep running” he said. Why not? I thought. If you look up #RWRunStreak you will see that some people are undertaking all kinds of Running Streaks. Some are doing a 366 day streak! Now there is a challenge, to run through all of the seasons, holidays, birthdays Christmas, Boxing Day and Easter without a break. I have decided to keep running my daily mile. I am also going to open it up to you too. I challenge you to start your own Streak. If you are not a runner then chose an activity that takes you 15-20 minutes to achieve and commit to doing it every day for 36 days. If you start tomorrow that takes you to 9th August. Make that time for yourself and see what it could do for you.